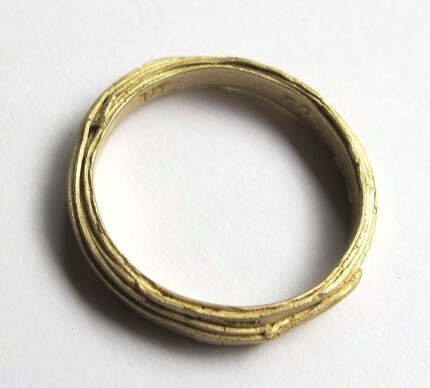 I found this image of one of my wrap rings (in 9ct gold) when I was looking for something else the other day. I love all the raw layers of metal together – it really does look so beautiful – even if I do say so myself! Posted on 01.02.14	This entry was posted in pieces i've made. Bookmark the permalink.